Leon Harrison Gross (alias Lee Falk), (April 28, 1911 - March 13, 1999), was considered a talent in music, art, theater, and writing. Falk was best known as creator of popular comic strip superheroes 'The Phantom', and 'Mandrake the Magician' who at the height of their popularity bragged over a hundred million readers daily. Falk's 'The Phantom' inspired the costumed image of what has today become known as the "superhero." Falk also contributed to a series of novels about the 'Phantom'. He wrote five of 15 paperback novels about The Phantom. (The other ten were adapted from his writings.) The film 'The Phantom' (Paramount, 1996) was produced only after years of script revisions as Falk demanded wholesome, family-friendly subject-matter. He vetoed numerous scripts over many years before giving his approval. His two characters, 'Mandrake the Magician' and 'The Phantom,' are still active and popular, both in comic books and newspaper comic strips. As a playwright and theatrical director/producer Falk directed such actors as Marlon Brando, Charlton Heston, Paul Newman, Chico Marx, and Esther Waters. Leon Gross was born to Benjamin Gross and Eleanor Alina in St. Louis, Missouri, where he spent his childhood and youth. Both of his parents were Jewish. They met in a traveling theater troupe in Ohio. Benjamin Gross died when Leon was a child; Eleanor remarried Albert Falk Epstein, who became Lee's father figure. Leon used his mother's name in different forms in both Mandrake and Phantom stories. Other family names that became part of Falk's stories included Valerie, Conley, and Diane. Leon changed his surname after college when he learned he had been adopted. He was treated by his stepfather as an equal to his brother, and took the middle name of his stepfather, "Falk," but "Lee" was his nickname from childhood. His younger half-brother, Leslie, a Rhodes Scholar at Oxford University, (whom Lee helped support through university) also took the name "Falk." Leslie A. Falk became a medical administrator known for his work in the eradication of miners' disease, colloquially known as Black Lung. 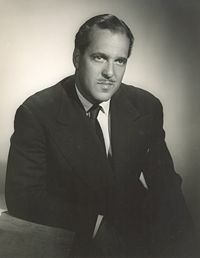 Lee Falk was married three times, all to theater professionals. His first wife, Joy Hume, was the daughter of medical missionaries in Sichuan, China, and wrote a book about her parents' experience. Their four children, Gail, Ted, Don, and Beth, became lawyers and educators with significant influence in the Civil Rights movement beginning in the 1960s. Louise Kanaseriff, stage actress/director and theater professor was the mother of Valerie Falk who became a professional artist, teacher and writer. Constance Moorehead Lilienthal, mother of Diane and Conley Falk, worked as a theater professional using the stage name Constance Moorehead. She was leading lady for many Falk theater productions, including lead roles in The Country Girl, The Glass Menagerie, and The Cocktail Party. Constance Moorehead also performed Shakespeare and other theater masterpieces. Elizabeth Moxley was a stage-director who helped Lee with scripts in his final years. She also finished his last Phantom stories after he died. As a father, Falk emphasized traditional education and values. Although his popular writing emphasized classic values, he did not encourage his own children to read cartoons, instead telling them stories from his cartoons in advance of publication. Falk used his children's responses to a new Phantom or Mandrake story to determine whether or not he would continue to use a specific plot or storyline. The primary message in his stories was based on the maxims that “Might does not always equal Right"; and, "a quick mind with serious study and thought, leads to Success." Family life in New York City included family Sunday walks, visits to the city's great museums, the Metropolitan Museum of Art, the Hayden Planetarium and the Natural History Museum, art galleries, and theater visits and viewings. Weekends also included visits to the studios of artist friends, and attendance at theater events of fellow actors, directors, and producers. Falk was a hobbyist chef, creating dishes from his own inspiration as well as from historical recipes. Eventually he published the Cartoonists Cookbook (with such recipes as "Eggs Falk to the Fourth Power"). It was created with friends and colleagues. Lee Falk lived for more than 40 years in New York City, at The Beresford apartments with a panoramic view of the New York skyline and Central Park. Summers he spent with his family on Cape Cod where he invented 50 cent, 75 cent, and one dollar sunsets (these last were considered the most spectacular). Falk was surrounded by friends in the arts and literature, including Alan Lomax (with his own department at the Library of Congress for recording original music and dance of world cultures: Cantometrics and Choreometrics); collage and abstract expressionist painter, Shirlann Smith, mosaic and community arts sculptor, Pedro Silva, Pulitzer Prize winning author Norman Mailer, Jack Kahn of The New Yorker Magazine, Mexican silversmith Xavier Gonzales and his wife, Ethel Edwards, famous for her canvases, the series, ‘Moon Viewing Parties’, among others. He wrote his comic strips from 1934 until literally the last days of his life. In the hospital he tore off his oxygen mask to dictate more stories. Falk passed away in 1999. When he began his comics-writing career Falk claimed falsely that he was an experienced, world traveler who had studied with Eastern mystics. He imagined this cast him as better equipped to write on globe-trotting heroes like "Mandrake the Magician" and "The Phantom." Later in life, he realized this claim of world travel, in part to avoid embarrassment when meeting genuine travelers wanting to swap anecdotes. When Falk first traveled to New York to introduce 'Mandrake the Magician' to King Features Syndicate it was the farthest he had ever been from home. To his surprise, "Mandrake" was accepted. At age 19, he signed a contract with the office of William Randolph Hearst. Falk drew the early episodes, but soon felt he was more of a writer and that the strip would benefit from a dedicated artist. He first worked with Phil Davis, an older commercial illustrator from St. Louis who illustrated the strips while Falk, still in college, did the writing. Falk also brought Ray Moore on the team as inker for Davis' pencils. During World War II, Falk worked as Chief of Propaganda for the new radio station KMOX in Illinois, where he became the leader of the radio foreign language division of the Office of War Information. He also worked at the Headquarters office in Washington, DC with Alan Cranston who later became a U. S. Senator from California. During this time Cranston smuggled an unedited version of Mein Kampf out of Germany, revealing that the previously edited version contained a completely "sanitized" content from this newly translated original. Falk and Cranston disseminated this version throughout the United States and the English-speaking world. As soon as Adolf Hitler's real message was known, United Nations troops were sent to free all concentration camp victims throughout Europe. Hitler tried to sue Falk and Cranston without success. One aspect of Falk's wartime service is the role played by cartoons and comics in the lives of young readers. Hitler's weekly radio broadcasts throughout Europe announced that America was destroyed and blown off the map. But readers noticed that the American comic strip, 'The Phantom', continued to be published in the newspapers, in this way assuring all, that ‘America was (and is) still there’. 'The Phantom' was inspired by Falk’s fascination for myths and legends like El Cid, King Arthur, Norse and Greek mythology, and popular fictional characters like Tarzan and Mowgli from Rudyard Kipling's The Jungle Book. Falk originally considered the idea of calling his character The Gray Ghost, but finally decided on "The Phantom." In an interview Falk revealed that Robin Hood, who often wore tights in the stories about him, inspired the skin-tight costume of "The Phantom," which is known to have influenced the entire superhero-industry. Lee Falk's comic strip character 'The Phantom' inspired the costumed image of what has today become known as the "superhero." In the A&E Phantom Biography (on the A&E Biography channel), he explained that Greek busts inspired him to not depict The Phantom’s eye pupils when he wore his mask. The Greek busts had no pupils, which Falk felt gave them an inhuman, interesting look. 'The Phantom' inspired the image of what has today become known as the "superhero." Other features of Greek drama to which Falk adhered include: not showing violence (this may only be inferred); and the Aristotelean "unity of time" in which the 'real time' and 'fictional time' must match (i.e., two hours of the play or story must only be two hours of the lives of the characters). He adhered strictly to the Comics Code—good must win over evil with every story and character. Falk thought that his comic strips would last a few weeks at best; however, he wrote them for more than six decades, until the last days of his life. "The Phantom was the model for all superheroes who followed. Falk created mysterious universes with strange happenings before the era of television. The inspiration for much of the recent fantasy films stems from the creation of characters like those he invented." The Phantom has been translated into 15 languages and carried by more than five hundred newspapers in 40 countries. Although Falk is considered first and foremost a comic strip writer, his mastery in fact lies in sequential literature, the art of telling an in-depth, sometimes very detailed, continuing story in panel form. Sequential literature requires a compelling narrative with tightly constructed plots and rich, descriptive dialogue. In the fiercely competitive American cartoon strip industry, reader loyalty is dictated by character consistency. 'The Phantom' and 'Mandrake the Magician' are the longest-running strips—a notable achievement. 'Mandrake' is a result of Falk's love for magicians and adventurers. As he explains, "I came up with the story of 'Mandrake the Magician' because I loved magicians like Houdini and the great adventurers, like Marco Polo. I have always read a lot of adventure, science fiction, and detective novels. 'Mandrake' is a combination of the great magicians, adventurers, and detectives I have always enjoyed reading about. 'Mandrake' is both a world traveler and an interplanetary traveler. He is a friend and a consultant to both the FBI and CIA." Get with child a mandrake root. Mandrake root was a medieval panacea used to bring fertility to women, soothe aches, and cure disease. Despite this quaint appellation, the name 'Mandrake the Magician' remains as timely and fresh when the strip began over 60 years ago; he remains a superhero who uses his wits and hypnotic power to battle and beat the villains. Able instantly to produce deep hypnosis, Mandrake might disarm a gun-toting thug by making him think he is holding a banana. Then, using sleight of hand and telepathy, he takes away the weapon. Falk engineered the first racially integrated superhero pair, teaming Mandrake with Lothar, an African prince of the Federated Tribes who abdicated his throne to help Mandrake fight evil. Non-white action heroes have been rare in comic and superhero history. Lothar is an intelligent partner, not just a sidekick. The prince possesses a keen sense of humor and loyalty. In choosing a black partner for 'Mandrake', Falk was not trying to make a statement, but he succeeded in writing an intriguing and exciting story. Lothar was widely viewed as an equal to Mandrake back in the 1930s when such acceptance was not easily won. Describing their relationship, he explains that "'Mandrake' is an exceptional mental giant, who has abilities to trick others with his mind and abilities. 'Lothar' is a physical giant, but one who is gentle and intelligent. Originally, Lothar wore a turban, and leopard skin, but as he evolved into Mandrake's best friend, he changed. After World War II, Lothar became modernized, lost the pidgin English [he spoke], and his costume changed to a shirt, riding pants, and boots." Lothar originally was Mandrake's bodyguard, but this quickly changed. According to Falk, the play between Lothar and Mandrake is key to the story. He also comments that when ''Defenders of the Earth'', a combination of different classic cartoon characters, was developed for television in 1986, Lothar was not included on the promotional posters with Mandrake and Falk's other superheroes, 'The Phantom' and Flash Gordon. Falk insisted that the error be corrected. Lothar has always been a favorite among his readers and has been a particularly good role model for his young black readers. In 1936, Falk introduced his readers to a second action hero, 'The Phantom'. This was the first costumed superhero to appear in the comics. Because Falk grew up with the Tarzan stories and was intrigued with the richness of the African heritage, he decided to set 'The Phantom' in Bangalla, a mythical jungle somewhere between Africa and India. He saw the wealth of detail and adventure he could put into his black-and-white strips using such a background. The continuing storyline allowed Falk to write about societal ills. 'The Phantom' flourished because Falk dealt timely issues of most interest to his readers. The strip had story lines dealing with the environment, international conflicts, human rights, and the women's movement. Falk likened the writing of plays to that of creating a comic strip. "I think the art of writing a comic strip is closer to the theater and to film technique than any other kind of writing I know. When I write stories for 'Mandrake' and 'The Phantom', I write a complete scenario for the artist in which I detail the description of the scene, the action, and the costumes. If new characters are introduced, I write descriptions and dialogue for each panel. With each scenario in front of him, a cameraman could take this and shoot it, or an artist can take it and draw it." Falk's other great passion was theater. Over the course of his life he ran six theaters with the famous cartoonist, Al Capp. These were in Boston, Cambridge, Marblehead and Framingham, Massachusetts, New York City, and Nassau, in the Bahamas. He produced more than 300 plays and theater productions, directing more than 100 of them himself. He wrote 12 plays: two musicals ("Happy Dollar" and "Mandrake the Magician") based on his comic strip creations; two short plays ("Eris" and "Home At Six") written in a stylized language of one-syllable words, produced together as one evening of theater in New York City. Falk's are family dramas; 'Eris' (the Greek goddess of anger) also represents 'lost love'. His plays starred such well-known actors as Marlon Brando, Charlton Heston, Conrad Bain, Basil Rathbone, Chico Marx, Paul Robeson, Alexis Smith, Victor Jory, Cedric Hardwicke, Paul Newman, Ezio Pinza, James Mason, Jack Warner, and Farley Granger, and actresses including Eve Arden, Ethel Waters, Celeste Holm, Constance Moorehead, Shelley Winters, Eva Marie Saint, Eva Gabor, and Sarah Churchill. After Falk's death, his widow Elizabeth directed a musical called "Mandrake the Magician and the Enchantress," written by Lee Falk, essentially a re-creation of the same musical performed in Tanglewood, Massachusetts in 1973. Falk was proud of the many job opportunities that he created for actors, stage hands and general staff in both his theater productions as well as within the comic strip industry. He was especially proud of his professional relationship with the talented African-American actor, Paul Robeson. This connection made possible the desegregation of many theaters. Falk's personal beliefs are mirrored in his writing and work. Many decades ago, his winter theater in Nassau, the Bahamas, catered to the rich who lived and played in this British colony. Patrons of his theater included royals such as King Edward, who left the throne for the love of Mrs. Simpson. Nassau was extremely segregated at this time, and the lush richness of the island and its society residents contrasted starkly with the extreme poverty of the majority of Bahamians. Theaters, like most public places, were officially segregated–though few of the black islanders could have afforded a ticket anyway. Falk would often take his theater group down to the villages to bring some theater culture to churches and to the people. Falk fought for civil rights for all people before the 1960s and the Civil Rights Movement. Falk's theater was one of the first integrated theaters. There was a prominent doctor, a surgeon, on the island. Falk invited many of the society patrons to a special assigned-seating show. During this show, he sat the wealthiest white, female patron next to the black doctor, a radical act during the 1940s and 1950s. Actors were all paid to perform, but many of them worked for a fraction of what they would normally earn in their movie work. Falk was proud to report that Marlon Brando turned down an offer of $10,000 a week to act on Broadway, in favor of working for his Boston theater in 1953 in a production of George Bernard Shaw's "Arms and the Man." His Boston contract was less than $500 a week. Falk also involved himself in other socially conscientious causes. "One thing we did that was great fun was during Nancy Reagan's 'Just Say No to Drugs' campaign. I was on a train with 'Mandrake' and 'The Phantom', and we would visit towns and the kids with this message. Nancy Reagan came by at one of the stops, and we had a great time." When asked about what is next, Falk replies, "I continue to enjoy life, and I hope that the Phantom and Mandrake do also. I have been writing about them for so long. I feel that I am a chronicler of what they do: They are very strong characters with lives of their own. I am happily married with wonderful grown children and grandchildren. There is not a lot more one could ask for." "My only politics is: "up" with democracy and "down" with dictatorships." "The Phantom" is a marvelous role model because he represents the force of ‘goodness’ that wins over evil. Evil never triumphs against 'The Phantom'…. He hates dictatorship and is in favor of democracy. He is also opposed to any violation of human rights." "I don't believe in violence in comics," he affirms. "The Phantom' has never killed anybody in over sixty years. He has never shot an animal except to save someone. Instead of shooting, he will knock the wind out of someone, even though he could shoot the wings off a fly at a hundred yards." King Features syndicates 'Mandrake the Magician' to more than two hundred newspapers in eight languages on six continents. Now, as when it debuted, 'Mandrake' is respected for its tightly constructed plots, excellent dialogue, drama, and suspense. Falk began writing 'Mandrake the Magician' while studying at the University of Illinois during the Depression. Since then Mandrake the Magician and The Phantom have spread Falk's message of social tolerance, humanity, environmental awareness, and plain, proper ethics, "doing the right thing." "The Phantom" and "Mandrake the Magician" are read by over a hundred million readers every day. Traditionally, newspaper cartoons and comic books portraying noble adventures in which forces of good overcoming evil in various sequences of stories are generally referred to as the Graphic Novel or Sequential Art, which is one of the few cultural phenomena with purely American roots, along with Jazz, and the "mystery and adventure novel," (first created by nineteenth-century writers, James Fenimore Cooper and Edgar Allan Poe). There was even scholarly research into such subjects as the 'Jungle Wisdom' in The Phantom and the features of science fiction in Mandrake the Magician. Festivals in Spoleto, Italy celebrated the creative accomplishments of American cartoonists, including Prince Valiant, Will Eisner's The Spirit, Jerry Robinson's Flubs and Fluffs, and Charles Schulz's Peanuts. Falk played an important role in the desegregation of the theaters in Nassau, the Bahamas in the 1950s, preceding the American Civil Rights era. In May, 1994, Falk was honored by his hometown, St. Louis, Missouri, with the establishment of Lee Falk Day. "I was in town for a comics conference," he explains. "I have a slide show called 'The Golden Age of Comics,' which includes pictures and the history of comics from the Yellow Kid in 1895 up to the strips of the 1950s such as Peanuts. During that show they announced that I was to be honored and presented me with a beautiful certificate, which I have in my home." Falk has also been nominated as a candidate for the St. Louis Walk of Fame. On the premiere of 'The Phantom' movie (1996) starring Billy Zane, Lee Falk received a letter from President Bill Clinton, congratulating him with his achievements. Federico Fellini, known for his avant-garde films such as La Dolce Vita and La Strada, met Falk in the late 1930s. Later, as a popular director, Fellini said that he had always wanted to do a Mandrake film with Italian actor Marcello Mastroianni as the lead. Mastroianni himself was enthusiastic about the project, but, unfortunately, when Fellini died the project was never completed. In Scandinavia, "Phantom" fan clubs rival the Boy Scouts for size and good deeds. Even a king of Sweden has been a member of the Phantom Fan Club. The is a Phantom Theme Park in Gottesborg, Sweden. In Haiti, the Phantom's oath was taken by a group of revolutionaries during the tyrannical reign of Papa Doc Duvalier. Young officers swore to battle inhumanity and injustice by staging a revolution during a large parade. Unfortunately, the plan was leaked. The effort was foiled, and the young officers were never heard from again. ↑ The Phantom (1996).imdb.com. Retrieved December 1, 2008. Falk, D. M. E-Journal, "Youth Issues and Media Influences," The World Media Association, [www.wmassociation.com]. (Spring, 2006). Horne, M. The Golden Age of Comics No.3: The Phantom. New York, NY: Nostalgia Press Inc., 1969. 3-4. Madison, B. "Master Magicians & Phantoms—Lee Falk," Scarlet Street: The Magazine of Mystery and Horror No. 22, (1996): 47-50. ISSN 1058-8612. The Phantom Diary 1993. Sydney: Mallon Publications, 1992. Obituary: Lee Falk The Independent. March 19, 1999. 'The Phantom's' Father Is a Pretty Legendary Figure Too Los Angeles Times. June 10, 1996. Lee Falk; Created 'The Phantom,' 'Mandrake the Magician' Comics Los Angeles Times Obituaries. March 16, 1999. Daily dose of thrills Lee (Leon) Falk, strip-writer, born April 28, 1911; died March 13, 1999 The Guardian. March 19, 1999. Lee Falk's The Phantom Encyclopedia. by Jim Shepherd, Barry Stubbersfield. bookcrossing.com. Bryan Shedden, Lee Falk Father of the Phantom 1911 - 1999. deepwoods.org. This page was last modified on 24 June 2018, at 22:59.